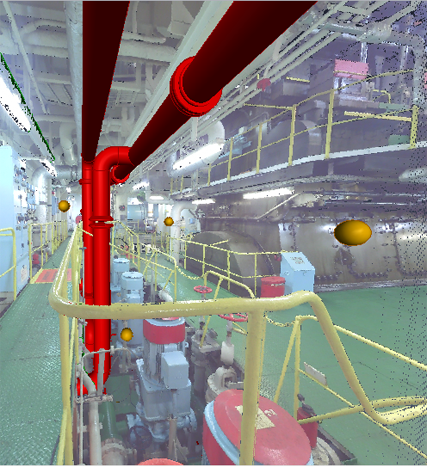 Aries is a one stop solution for Ballast water treatment system installation needs, taking up the full range of engineering services from 3D scanning to Class approval matters to project management during installations. 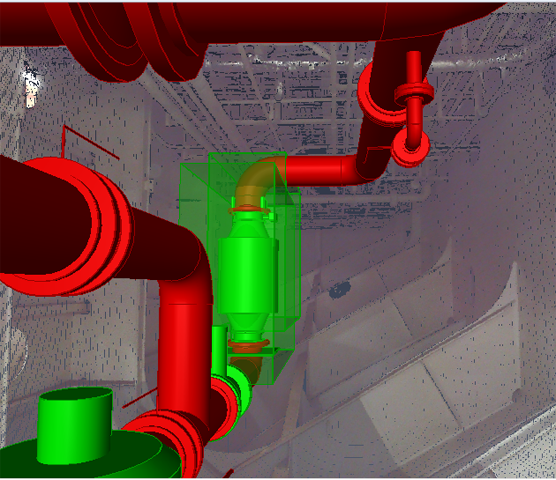 The above aspects will result in significant COST SAVINGS for the owners/managers while undertaking the actual installation. 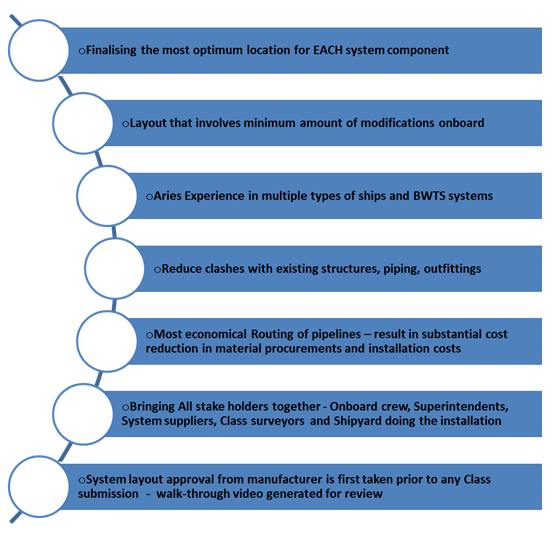 Preparation and delivery of a new approved Ballast Water Management Plan (BWMP). The BWMP is to be delivered (approved) during installation and commissioning, before vessel leave yard. The new treatment system to be included in the BWMP, including new ballast procedures, reporting procedures etc.